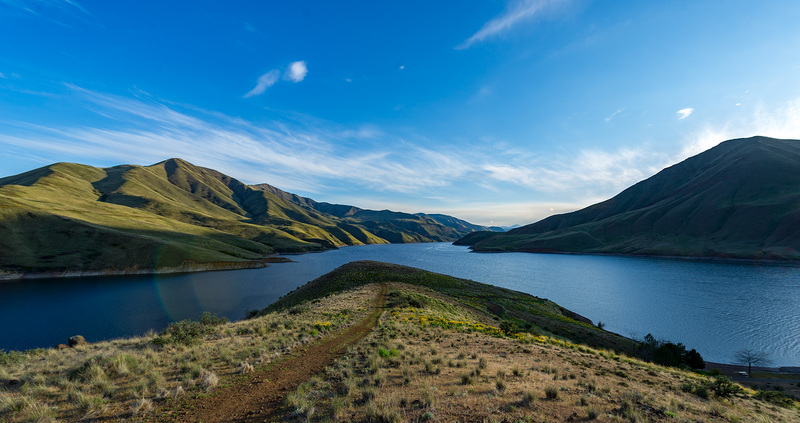 Camping is allowed using tents or RVs in developed campgrounds or undeveloped areas near the reservoir. Most campsites can be reserved online, while a limited number remain available on a first-come, first-served basis. Stays are limited to 14 consecutive days. Located adjacent to Idaho Highway 71, on the Idaho side of Brownlee Reservoir, 23 miles from Cambridge, Idaho. Woodhead Park, built in 1959, is named in honor of Ed Woodhead who served as Idaho Power’s chief construction engineer for the Brownlee Power Plant. John Brownlee operated a ferryboat across the Snake River during the late 1800’s to bring people, livestock and equipment into the area. Brownlee Creek, Brownlee Dam and the 58-mile-long reservoir were all named after the Brownlee family.